SNAPs (soluble NSF-attachment proteins) may play an important role in the process of docking and fusion of vesicles to their target membranes, according to the 'SNARE hypothesis'. NAPA(Alpha- SNAP) was found in a wide range of tissues and act synergistically in intra-Golgi transport. 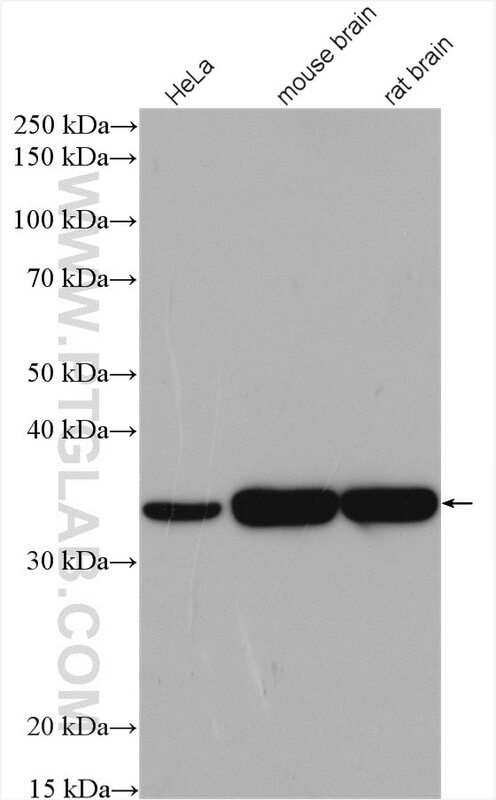 This antibody recognizes a 33kd protein in SDS page.